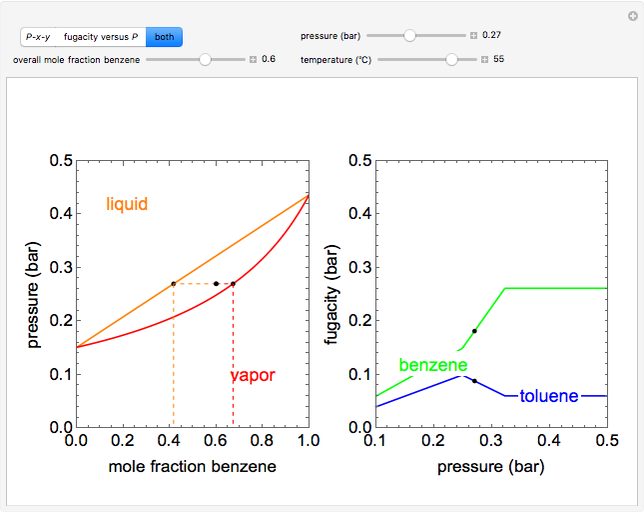 This Demonstration shows how the fugacities of benzene ( ) and toluene ( ) change with pressure and composition at constant temperature. 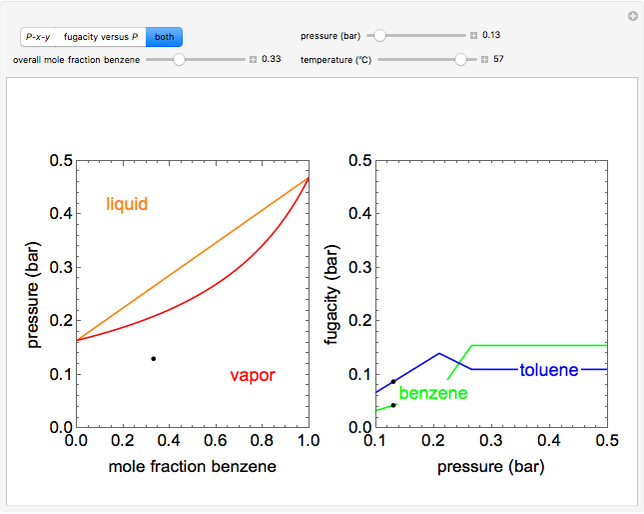 The liquid mixture is modeled as an ideal solution and the gas phase is ideal, so Raoult's law models vapor-liquid equilibrium. 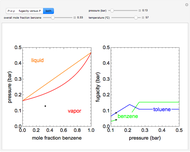 Use sliders to vary the temperature and overall mole fraction of benzene. 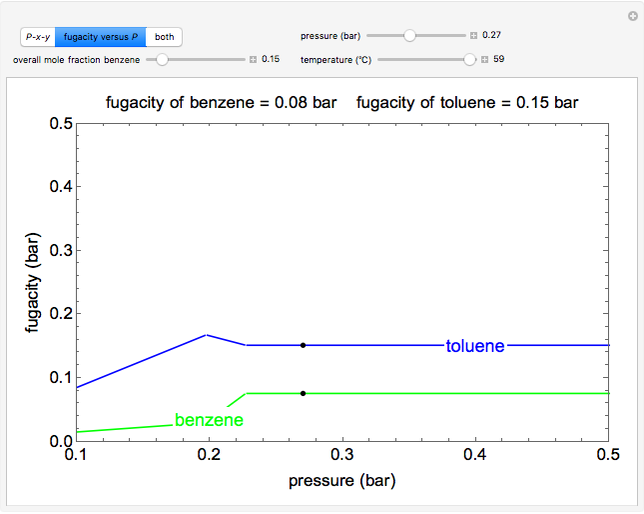 Use buttons to view the pressure-composition diagram ( - - ), the fugacity-pressure plot or both plots at once. Black dots on the diagrams represent the pressure (on the - - diagram) or fugacity (on the fugacity plot) for the given temperature and pressure. where represents either benzene or toluene ( or ), is temperature (°C), and , and are Antoine constants. The fugacity of a component depends on temperature and molar composition. where is the liquid mole fraction and both and have units of bar. 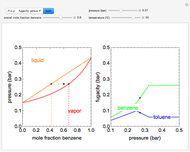 where is the vapor molar composition and is the total pressure (bar). 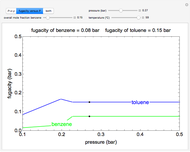 "Fugacity Dependence on Pressure in an Ideal Binary Mixture"